Everyone's favorite part of fall, college football opening weekend, is just over a week away with the season officially beginning on August 25. There's a packed schedule, so we've highlighted the best games to watch and where to catch them each day of opening weekend. We hope this guide helps you make the most of this season's college football kickoff. Why to watch: There is no doubt that UCF will head into this season-opener against UConn with a desire to live up to the hype after finishing the 2017-2018 season with an undefeated record. UCF took down UConn 49-24 in their last meeting, and they will return their star quarterback and potential Heisman candidate McKenzie Milton for another run at a perfect season. But can first-year head coach Josh Heupel guide his team to the same success as his predecessor Scott Frost? This first match against UConn will be a good test. Why to watch: Northwestern finished in the Top 25 last year, and this opening game will be a chance to prove it belongs on that list again this year. The Wildcats defeated Purdue 23-13 in its match-up last fall. One big question facing Northwestern in this early match is whether or not Clayton Thorson be healthy enough to make a sizeable impact against the Boilermakers. Purdue enters the 2018-2019 season fresh off a bowl game victory last year and a streak of wins near the end of their schedule. Why to watch: Army football is feeling pretty proud after being saluted by the NFL's Giants while attending practice, and there’s no doubt they’re going to carry that energy into opening weekend. The Black Knights won their match-up against the Blue Devils 21-16 last November. One key player to help Army prove victories again is fullback Darnell Woolfolk. The senior difference-maker has been named to the Walter Camp Player of the Year and Maxwell Award watch lists, and with reason. He’s rushed 1,412 yards and marked 23 touchdowns on the ground in his last two seasons. And he could have recorded more if an knee injury didn’t keep him on the sidelines for three games. But that doesn't mean Duke doesn't have a fair shot at bringing home the W. Coach David Cutcliffe has done wonders in starting to turn Duke football around, winning 15 games in his first four seasons in Durham. That might sound less than impressive on paper, but it's a huge improvement from the 17 games that were won in the 10 years before Cutcliffe's reign. Combine that with quarterback Daniel Jones, on of only two active quarterbacks in the nation with over 5,500 passing yards and over 500 rushing yards last season, and Duke could give Army a run for their money. No. 7 Wisconsin vs. Western Kentucky (Camp Randall Stadium, Madison, Wisconsin) - 9 p.m. E.T. Why to watch: Wisconsin quarterback Alex Hornibrook has done major work in the off-season. He was the MVP at the Manning Passing Academy this summer, and the team is expecting him to make some big plays. But Hornibrook isn’t the only one to keep an eye out for. Sophomore running back Jonathan Taylor is on the preseason watchlist for first-team All-America honors, the Maxwell Award and the Doak Walker Award. This should come as no surprise after receiving second-team All-America honors, first-team All-Big Ten honors, being named the Thompson-Randle EI Big Ten Freshman of the Year, 2-time Big Ten Offensive Player of the Week and an 8-time Big Ten Freshman of the Week during his freshman campaign. Taylor broke Adrian Peterson’s FBS record for rushing yards by a freshman with 1,977 yards on 299 carries. If Taylor doesn’t get you excited for college football, there’s not much that will. And you absolutely can’t forget about one of the biggest offensive lines in the nation, who have been enjoying a little extra fun outside of practice lately. How did our big fellas handle their close-up? @d_edwards79 judges his fellow Sports Illustrated cover boys. Even though Western Kentucky’s young team doesn’t have much hope at winning, it’ll be a great opportunity for them to compete in a big-time stadium while giving the Hilltoppers an enjoyable fan experience. Why to watch: FAU is coming into this match-up with a big task to accomplish, but if it can, the game will go down in Owls history. Lane Kiffin will show up to Norman with his coveted running back Devin Singletary, who was recently named the program’s first AP All-American. Oklahoma, coming in ranked No. 3 in the USA TODAY Coaches poll, will obviously be a force to be reckoned with. But, the Sooners lost a lot of talent in the off-season, giving FAU a sliver of hope here for an upset. Kyler Murray will attempt to replace the No. 1 pick in the 2018 NFL Draft, Baker Mayfield. But don’t worry too much, Murray has a premium pair of receivers to rely on in Marquise Brown and CeeDee Lamb, who combined for a total of 103 catches, 1,902 yards and 14 touchdowns as freshmen last season. Why to watch: This is the third year in a row that Auburn will play it’s opening game in the city of Atlanta. On the defensive side, the Tigers boast one of the top units in the SEC, allowing only 18.5 points and 319.4 yards per game last season. Washington will field an experienced offense, with Jake Browning starting at quarterback for the fourth year in a row. This has to give the Huskies some confidence entering Mercedes-Benz Stadium as the underdog. Browning should be able to connect with returning running back Myles Gaskin for some serious yardage. Last fall, the Huskies averaged 6.4 yards per play and 36.2 points per game. Washington also welcomes back every lineman besides star nose tackle Vita Vea, meaning they should be a tough unit to make moves against. So, don’t let the six-point difference in ranking make you too biased, Washington still has a shot at holding its own in this season opener. Why to watch: West Virginia quarterback and Heisman contender Will Grier will make his return against the Volunteers in the opening weekend. Grier injured his finger late last season and will be hungry to start the 2018-2019 off with a victory, but he and his offensive team won’t be the only advantage on the West Virginia side come September 1. The Mountaineers' defense will also feature a squad of veterans, and these two elements combined prove to be lethal against the Volunteers. Tennessee enters the match-up under the leadership of first-year head coach Jeremy Pruitt, and this former Alabama defensive coordinator hopes he can help his team rebuild and maximize the talent of his incoming athletes. Both teams will be able to build off this first game and refine their roster as the season progresses. But the real challenge will be: which team can put everything together on September 1 when it counts? There’s a lot of people that care about Tennessee Football. Why to watch: You know this classic rivalry is a big game when its first stop on College GameDay’s 2018-19 season tour. Both teams lost key offensive players and will be relying on a strong defense to keep the competition alive. Notre Dame lost tackle Mike McGlinchey and guard Quenton Nelson to the first round of the 2018 NFL Draft. Even more, the offense lost three more key players – running back Josh Adams, wide receiver Equanimeous St. Brown and tight end Durham Smythe. To top it off, the Fighting Irish still haven’t named a starting quarterback. Michigan has lost three players to transfer in recent weeks, leaving some wondering about the reasons why. Although Eddie McDoom, Kekoa Crawford and Kareem Walker weren’t all-stars for the Wolverines that has to at least disrupt team mentality a little bit before such a big game. Either way, Jim Harbaugh is heading into the game with a top defense and Ole Miss transfer quarterback Shea Patterson. With two notable programs, this game should be a thrill to watch. 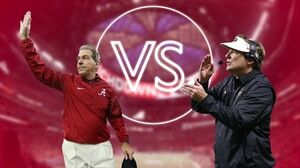 Why to watch: With the No.1 ranking and last year’s title to boast, Alabama will be the team to beat this year, and Louisville will have the first shot at taking down the Crimson Tide. The Cardinals will have to get through a loaded Alabama offense while also holding up on defense, an expected weakness for Louisville this year. The Tide, on the other hand, will have one of the strongest defensive teams in the country led by Raekwon Davis, who has already made waves as a potential candidate for the Bednarik Award given to the top defensive player of the year. If the Cardinals manage to pull out a W, they would see an immediate boost in their national ranking and gain momentum that could carry them through the ACC games this season. Yet, if Alabama wins, as their ranking suggests they should, the Crimson Tide will another National Championship season. Why to watch: Head coach Ed Orgeron will need his team to be firing on all cylinders come September 2 if his Tigers are going be able to put up a fight against No. 13 Miami, who enters the season with a chip on its shoulder after losing the Orange Bowl to Wisconsin in its home state last season. The Tigers' full lineup and offensive strategy is still unknown, but this game against Miami will be a good depth test for Orgeron’s team. The Hurricanes, like LSU, will come into Saturday’s game without their entire desired roster, as tight end Michael Irvin II injured his MCL earlier this week and will sit out the LSU, along with several other games during his months-long recovery. Miami, however, still have two nationally-ranked tight ends in Brevin Jordan and Will Mallory who could help increase team productivity on opening weekend. 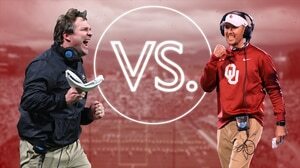 With these two top 20 teams facing off against each other in AT&T Stadium, Sunday’s game is a must-see event during the first week of the college football season. Why to watch: The opening game for Florida State and Miami will feature an ACC match-up between two young teams desperate to prove themselves in a competitive conference. Florida State coach Willie Taggart will lead his team for the first time in a game setting on Labor Day, and he’ll be putting his faith in a solid batch of receivers including D.J. Matthews, as well running backs Cam Akers and Jacques Patrick. Brian Burns, a junior defensive end for the Seminoles, will also be a name to watch in this game. Burns is the only FSU player on the Bednarik Award watch list and started all 13 games last year. He finished the 2017-2018 season ranked first in the ACC and third nationally for blocked punts and will be a threat against the Hokies. The Hokies, like the Hurricanes, will also look to its young players in this first ACC Game after losing ten starters from last year. The newer athletes, however, will have veterans to turn to, even veterans as young as quarterback Josh Jackson, a redshirt sophomore who will be returning to the field with more confidence and familiarity with his receivers. Jackson will have the chance to lead Tech’s experienced offensive team. 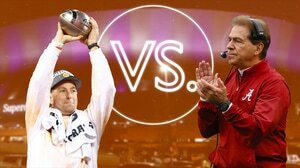 The last time these two teams competed against one another was back in 2012, when Florida State captured a 28-22 win in a competitive, evenly-matched battle.